Hiking is an activity that can easily be enjoyed by just about anyone due to the variety of terrain available. If you’re a beginner, you can find more mellow, short hikes that are not too steep or technical. If you’re a hiking veteran, you can find the steepest, gnarliest hikes leading you to the middle of nowhere, sleeping under the stars listening to the many sounds of nature. Whatever terrain you may choose, dependable hiking footwear will be your best hiking partner. Below are some of the common types of footwear for hiking you will come across while shopping. What type of hiking footwear do you need? Are there different types of materials to choose from? What features make up a hiking boot or shoe? How do you know if the fit is right? There are three main types of footwear when it comes to hiking; hiking shoes, hiking boots and backpacking boots. The differences between these three categories will vary between the boot’s height, durability, protection and support. Hiking shoes are generally going to be the most lightweight and flexible compared to hiking boots and backpacking boots. Although these characteristics are appealing because heavy boots can fatigue the legs quicker, hiking shoes don’t often offer as much support as hiking boots or backpacking boots do. 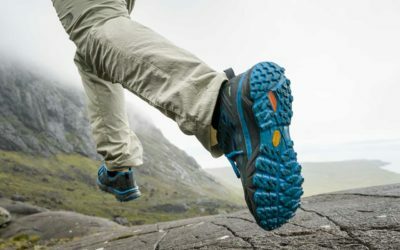 Who should buy Hiking shoes? 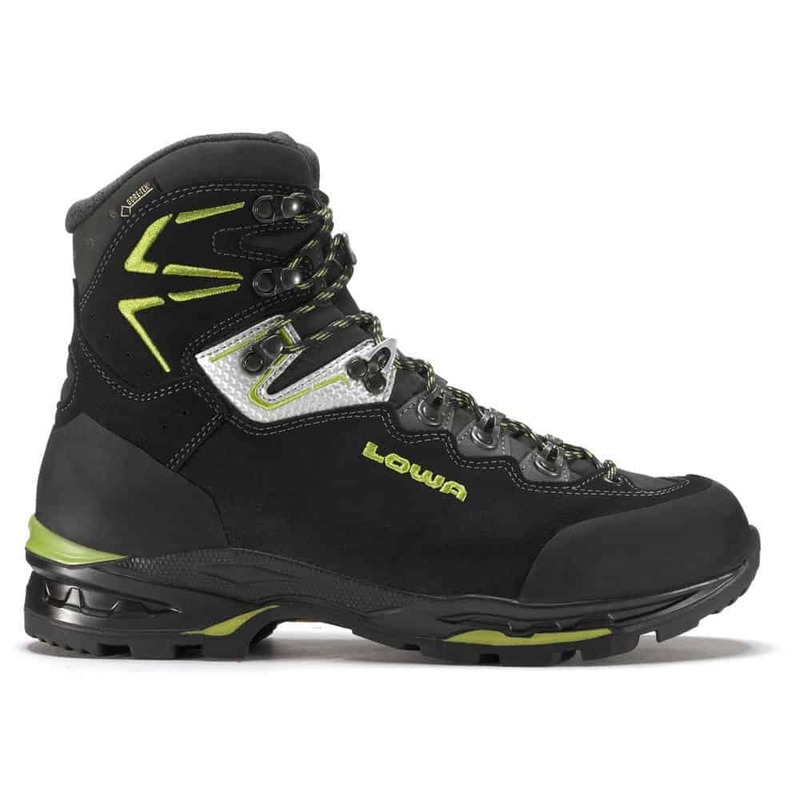 If you are going to be sticking to day hikes and shorter hikes where the routes are well-maintained with minimal obstacles to tackle and are not carrying a lot of weight, a pair of hiking shoes like the Lowa Renegade GTX Lo or the Salomon X Ultra 3 GTX may be the right fit for you. If you are an avid hiker you have most likely built up the strength in the muscles you use most when hiking (feet, ankles, calves and legs) so a pair of hiking shoes would be suitable as you are not relying on your shoes to provide a lot of support. For beginner hikers who have not yet gained the strength in these hiking muscles or someone who is prone to rolling their ankles, hiking shoes may not be the best choice for you. 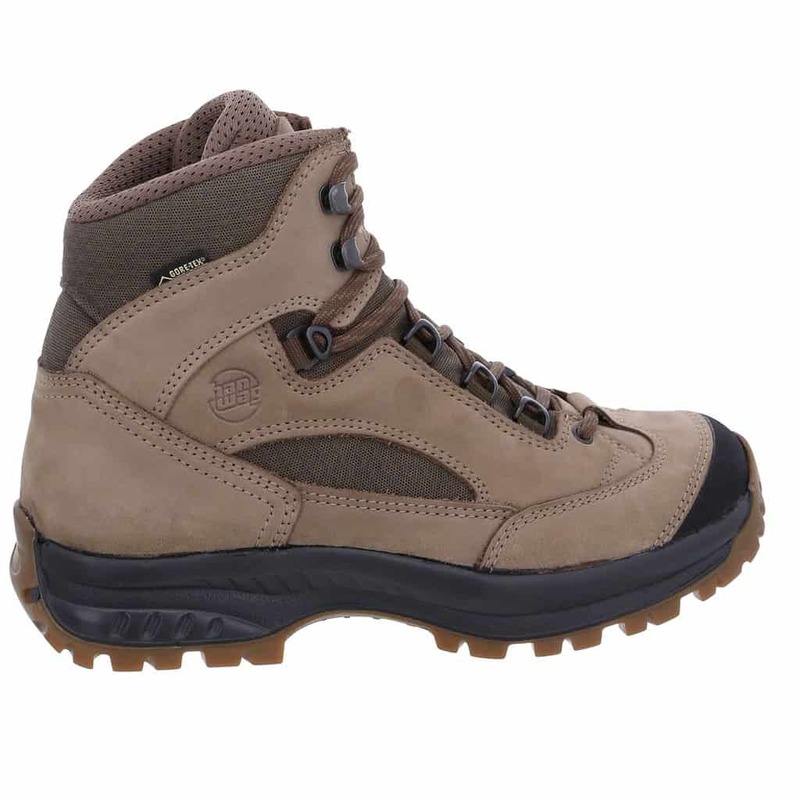 You will want footwear with more support and protection such as a hiking boot. Hiking boots will be more protective and supportive compared to hiking shoes because of their slightly stiffer construction and their higher cut. They won’t be as protective and supportive as a pair of backpacking boots. Styles of hiking boots will range from mid-cut to high-cut models and are quite often very similar to hiking shoes just with a higher cut. 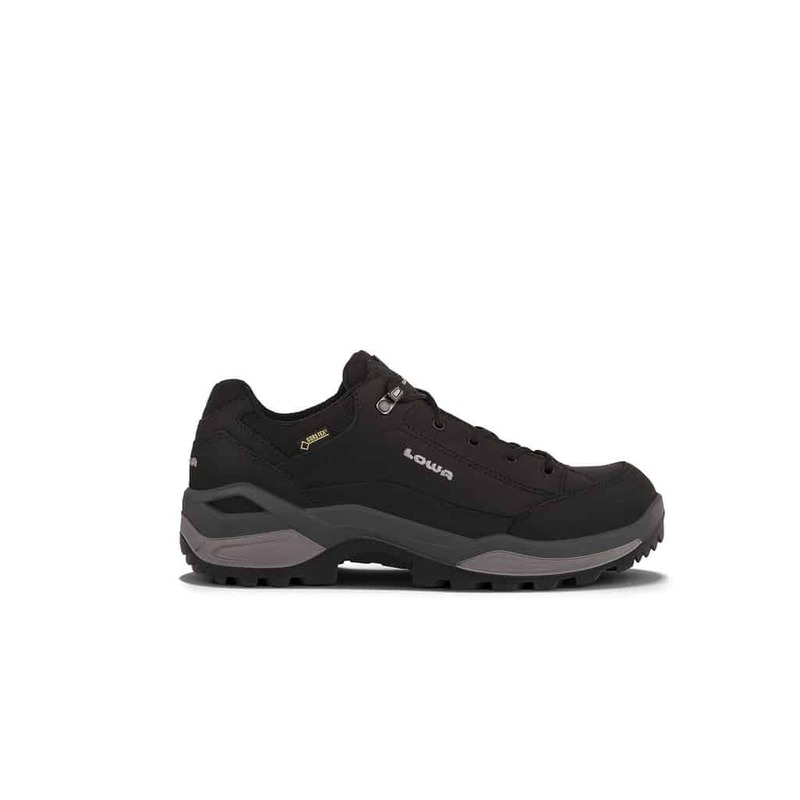 They will often be heavier than hiking shoes although they are more equipped to withstand carrying moderately heavy loads and tackling the rougher terrain. Who should buy hiking boots? Hiking boots are ideal for someone who is new to hiking, only gets out occasionally or is prone to rolled ankles and twisted knees. The higher cut of a hiking boot will support the ankle and protect it on uneven ground such as scrambling across a rock garden. If you’re not going to be carrying heavy loads for long, multi-day trips, hiking boots will be a great fit for you. There are plenty of hiking boots to choose from and below are a few great options. Backpacking or trekking boots are made to withstand multiple days of back-to-back use while carrying heavy loads. These boots are going to be durable, dependable, taller than hiking boots and a bit stiffer too. Generally, backpacking boots are the burliest of the three as they are made to withstand all kinds of terrain and weather conditions. Who should buy backpacking boots? You will travel through rain and shallow creeks one day and snow and puddles of mud the next. You want boots that offer more protection than hiking boots. You have multi-day trips planned and will be hiking with a heavy backpack. Often, backpacking boots will include features such as a toe and heel groove that are compatible with crampons or snowshoes so you really can travel on all kinds of terrain. These boots will generally require a bit of break-in time and may not fit like a slipper out of the box. With this break-in period, it is suggested to give yourself at least 2 weeks to get a feel for your new boots so you don’t end up with bloody, blister-covered feet 2 days into your 8-day adventure. For those embarking on burlier expeditions, mountaineering shoes such as the models shown below may be your winner. 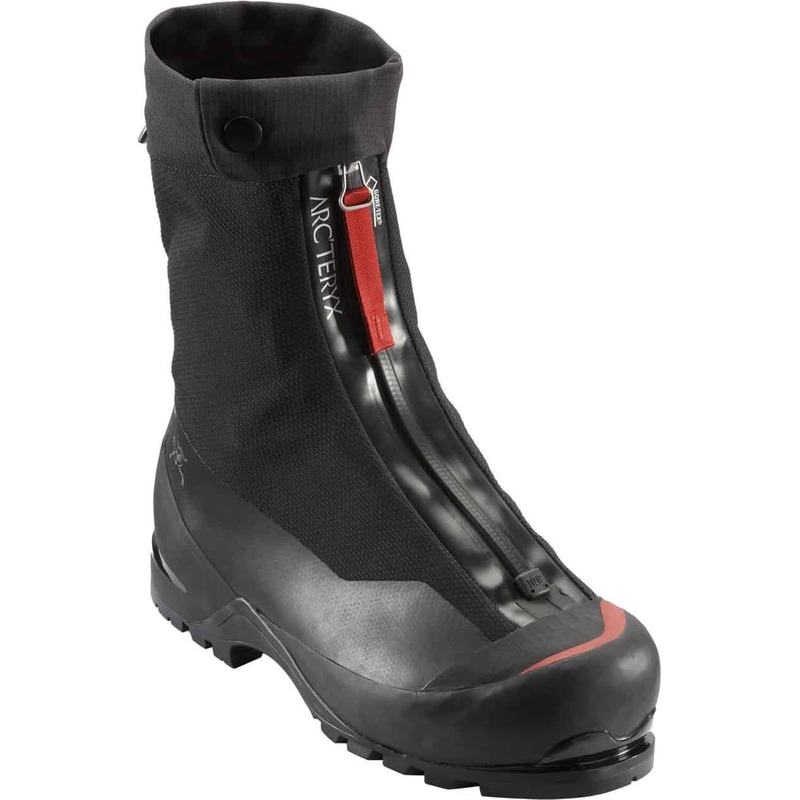 These boots are designed to be worn in alpine environments where extreme conditions may be present. Picking the right hiking boot begins with the adventures you plan to embark on. If you only plan to do the occasional day hike here and there, beefy backpacking or trekking boots will not be necessary for you. 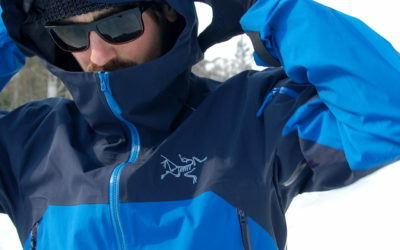 Ensuring you are equipped with the adequate gear will enhance your outdoors experience and make sure it’s a positive one. Once you’ve figured out which hiking footwear will be optimal for your activities you can dive in and get your shop on and maybe even pick a great hiking backpack too. Like a running shoe, a hiking boot is made up of a variety of materials which will impact the weight, breathability, durability and the water resistance of it. The hiking boot upper (the piece of material that is either sewn or glued to the midsole of the boot) can come in multiple different materials which are listed below. Full-grain leather is the most durable of the seven materials. It has very good abrasion resistance as well as water resistance and is used most often for backpacking boots. This material is designed for durable boots that will be carrying heavy loads while traveling on rugged terrain for multi-day excursions. Split-grain leather will be commonly used for lightweight and breathable shoes and will often be paired with nylon or nylon mesh to enhance the lightweight and breathable qualities. Although usually more cost-friendly, split-grain leather is not as resistant to water and abrasion like full-grain leather is. For this, some split-grain leather boots will be equipped with waterproof liners to make up for the lack of water resistance. Nubuck leather is the same material as full-grain leather except that it has been buffed to give the appearance of suede. Like full-grain leather, nubuck leather will also be water and abrasion resistant but unlike full-grain leather, it will also be slightly flexible. Synthetic materials used to make hiking boots include polyester, nylon and synthetic leather. Although synthetic materials may show wear sooner than a durable leather boot, they are more lightweight, dry faster and don’t take as long to break-in. These materials generally will cost less than leather and are more commonly used for hiking shoes rather than hiking boots. Hiking boots that are labeled as waterproof will most often be manufactured with a waterproof membrane such as Gore-Tex which is also commonly used for other outdoor gear like jackets. The Salomon X ALP MTN GTX hiking boot and the Lowa Z-6N GTX boot are both labeled as Gore-Tex boots and are made with a waxed nubuck leather upper. For the vegans of the world, there are even some hiking boots that are made with vegan-friendly materials. Vegan boots are harder to come across and can sometimes be mislabeled. Some boots which are labeled as made with vegan materials are made with a variety of glues which cannot be guaranteed vegan-friendly. Some mountaineering boots that are meant for use in colder climates like hiking on snow and glaciers are equipped with synthetic insulation. These boots are made to keep your feet warm so your day in the mountains isn’t cut short because your feet are cold. Hiking boots are similar to running shoes when it comes to their anatomy. 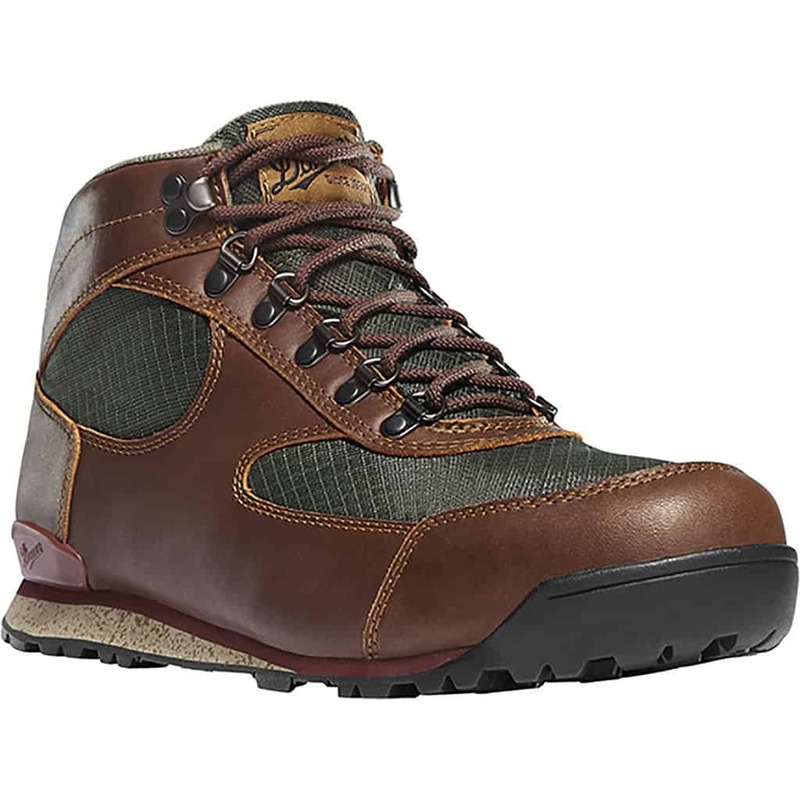 There are many features including the midsoles, the outsoles, support components, boot rands and a boots crampon compatibility that influence the overall product. If you’re planning to go exploring somewhere where there is a higher chance that you will be exposed to wetter terrain like trekking through shallow creeks or sloshy, mud puddles, a pair of boots that are equipped with rands may be something you want to look out for. This feature will offer extra protection from water when the terrain is extra muddy and wet and protect the boots leather from abrasion when the terrain becomes rocky and rough. A hiking boot rand is not found on all hiking boots but sometimes can be found on some waterproof/breathable boots. This is the wide, rubber wrap which wraps around the boots where the upper meets the midsole although sometimes the rand only encircles the toe of the boot. While shopping for your next pair of hiking boots, keep in mind if you wish to use crampons for any excursions. Some crampons such as the strap-on type will be compatible with nearly all types of boots but others, like the step-in or hybrid type will only work for certain boots. If you’re going to be needing crampons for a future expedition, it is best to figure out which style of crampon you will be searching for and base your boot shopping on that knowledge. Some crampons will only be compatible with a boot that has a groove on both the toe and the heel of the boot. Other crampon styles will require a boot with a much more rigid sole so make certain you are sure of the equipment you will be needing so you have the compatible equipment! Should you wish to learn more about the other types of technical features of a hiking boot, you can read more about insoles, outsoles and support components in our guide to pick the perfect running shoe. The fit of your hiking boot will play the biggest role in the selection process. If you’re going to be spending multiple hours or even multiple days on your feet, you want to be as comfortable as you possibly can. A comfortable pair of hiking boots should feel snug when laced up. You want your foot to feel secure but not so tight that you can’t wiggle your toes. When you’re trying on hiking boots, it is best to go at the end of the day for the fact that it is common for our feet to swell throughout the day. If you try on a pair of hiking boots at the start of the day it may feel very different compared to at end of the day once your foot has swelled slightly. Going at the end of the day can avoid the chance of purchasing a pair of boots that are in fact too small. If you have a pair of hiking socks you will be wearing on your trip at home, bring them along while shopping. Trying on boots with the thicker, hiking socks will give you a better idea of the fit. Guessing if that little extra space will suffice once you have a thicker pair of socks on isn’t the best route. *Be prepared. Bring your hiking socks and any insoles or orthotics you will be using on your trip so you can ensure you are purchasing the right boot. Whether you’re trying the boots on in a shop or have just received a new package in the mail, walk around in the boots and get a feel for them. If there is a set of stairs nearby or an inclined surface, walk up and down a few times; stand with your feet together and bend your knees. If you feel any discomfort at all while wearing the boots around, they are not the right boot. Any little bump or pinch may create serious blisters and hot-spots and can potentially ruin a trip by cutting it short due to discomfort. When shopping online for hiking boots, it may be best to go with a brand you are familiar with so you are aware of the sizing. If you’re not familiar with any brands, check out the reviews on the product page for any tips for sizing. If you’re really not sure, you can order multiple styles to try them all out and do the elimination process from the comfort of your home. With the lifetime membership at Altitude-Sports, you can take advantage of the hassle-free return shipping at no additional costs! This gives you the in-store shopping experience from your home. You’ve Picked Your Footwear, Now What? Once you’ve settled on a snazzy, new pair of hiking boots, get out there and explore! As mentioned earlier, some boots may require some break-in time, so if that’s the case, wear them around your house a bit (before they’ve gotten all dirty obviously), take the dog for a walk or go exploring in the woods near your house. Your hiking boots are going to be your closest hiking partner for your next adventures so get to know them and get comfortable in them.